The Florence Residences Sold Only 54 Units On Launch- Sign of Slowdown in Singapore Property Market? 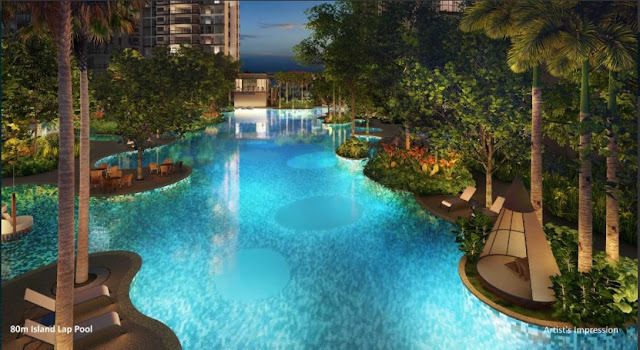 Since the official launch of The Florence Residences over the weekend on March 2nd, 2019, it sold only 54 units. This represented 3.8% of total units of 1,410 being sold at this first-weekend launch. The developer’s version of the sales results is that close to 30% of units are being sold reason being that they only release 200 units. The average psf pricing is S$1,450 psf. Seems that sales results are not that ideal due to excess supply of other units launched from competitors. Riverfront Residences, Affinity at Serangoon and Garden Residences nearby also have many unsold units. Prospective buyers thus have plenty of choices in the current market. Another possible factor is what I think is the very high launched price of S$1,450psf. At S$1,450psf, this is even higher than Kovan Residences and Kovan Regency which have already TOP and are in better locations such as closer proximity to Kovan MRT station and other basic amenities. Under the ABSD rules, URA gave developers 5 years to complete a residential project and to sell all units else they must pay the ABSD set at 15% of the site’s purchase price. For such mega projects, the effect of the ABSD from non-compliance will be severe. Hence we may see the offering of further discounts or renovation vouchers by the developer in order to attract buyers and move units. P.S: Please see my previous review of Florence Residences here.